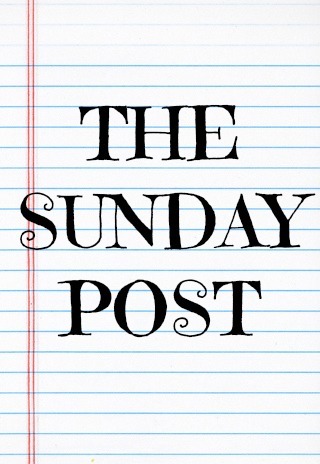 I am going to treat last weeks Chitter Chatter as the Sunday Post #1 because It was on a Sunday so yeah! This is the post where I kind of just ramble on about anything and everything just because I can. Haha!! This week was my last week of the easter holidays so I’ve been revising, and just chilling out. Some of you may know that I got a job interview this week! (It’s for a shoe shop! *I say no more*) It’s tomorrow so I’m kinda nervous as it’s my first proper interview! I have my outfit planned, so maybe I’ll get mum to take a quick pic before I go so I can do an OOTD! (I might forget, so don’t hold me to this!) If any of you have any tips for interviews, then it would be gladly appreciated!! I’m going back to school tomorrow (boooooooo) But as I’m year 11 it’s only for 6 weeks. Mind you- the six weeks is going to be absolutely hell but hopefully it goes quickly. (who am I kidding- it’s gunna be the worst 6 weeks of my life!) Bring on College is what I say! I had my prom hair and make-up trial the other day and I think I’m going to re-book a hair appointment because I liked it at the time, but looking back at the photo’s I was just like ohhhh dear god! I don’t like it much at all! And as for the makeup- don’t get me started! I’m not hating on the lady who did it (really Lauren, sounds like you love her… not.) but she used the most orange foundation on me EVER. She said she was going to get a lighter one but still- It’s put me on edge!! So yeah, instead of being excited for prom I’m more nervous/ scared. Okay, rant over. Soo yeah. I think that’s about all I have to say really. It’s my birthday in 9 days so that’s pretty exciting! I hope your all having a lovely Sunday, and enjoy the week ahead! I should be posting on Tuesday, Thursday, Saturday, and Sunday so keep your eyes peeled! Do you have any advice for interviews? Next Post My Top 10 Most Reached For Products!